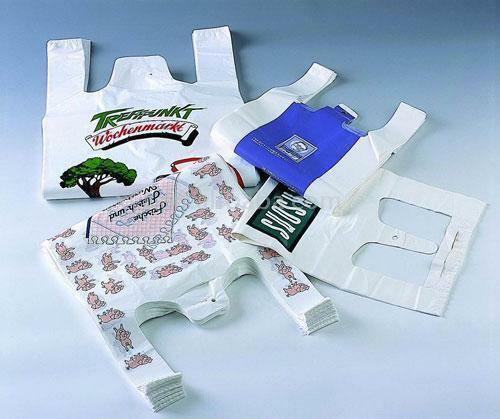 We have the facilities to make different types of t-shirt bags. Our strength is our satisfied customers all around the world. We have production facilities as per EU compliance and also provide intertek certificate for the acceptance of food grade compliance bags. We entered the polymer trade and its allied manufacture way back in the early nineties and set up a manufacturing unit to produce PP/HDPE woven fabric/sacks namely M/s Tisfab Limited in 1992. Being an ancillary of TATA Cement (Now Lafarge India), we learnt the stringent process of quality control and management. In 1997, we vertically diversified into trading of polymer by becoming the consignee agent of Haldia Petrochemicals Limited for the region of Bihar and Jharkhand. This gave us the leverage in polymer business as we had a better pulse of the market and its trend and cycles thereof. In 2002, we established a state of the art manufacturing plant of PP/HDPE woven fabric with latest new generation plant and machinery in the state of Haryana, in Panipat. Presently we are processing about 300 MT per month of polymer in our unit in Haryana. In the year 2003, we identified an opportunity in HPL’s value added program-me and planned to set up a modern film packaging plant in the state of West Bengal. We wanted to set up the best plant and had the vision to cultivate this unit to its limit. A plant, which would cater to the world and have good infrastructure, meeting European standards of dust free and hygienic facilities. Our vision materialized and today we are equipped with latest imported machines. We can produce bags of various sizes, color and specifications. Our unit strictly maintains excellent quality control and per-shipment inspection procedures. Ever since its inception, the company has grown from strength to strength. Its sound business policies in quality control, meeting international deadlines and producing customized products together with a professional and dedicated workforce has made PMPL a name to reckon with. We are exporting 95% of our products to Europe and USA. Our production capacity is 5000 Metric Tonnes per year.